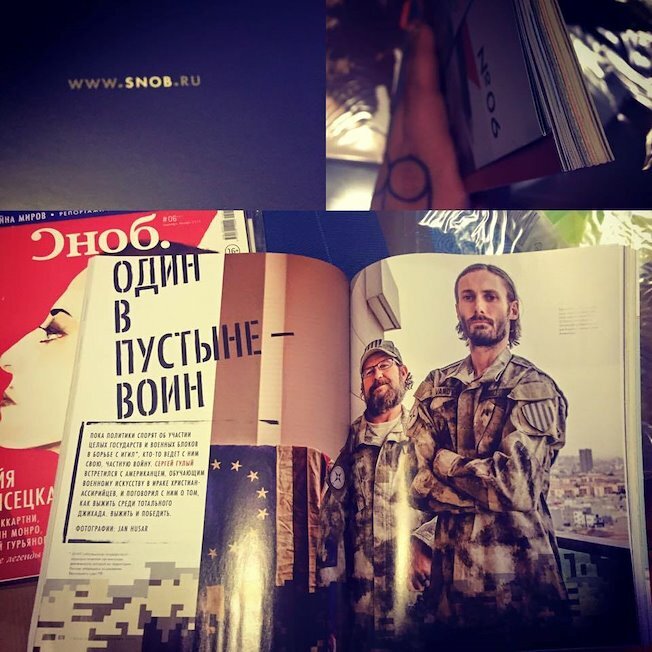 From my photography work for print and online edition of Russian Snob Magazine, similar kind as Vanity Fair like monthly mag. Really quite nice binding, with eight pages story of American training Iraqi christians to fight the so-called Islamic State insurgents. While politicians argue about the participation of entire countries and military units in the fight against ISIL * someone is with his own private war. 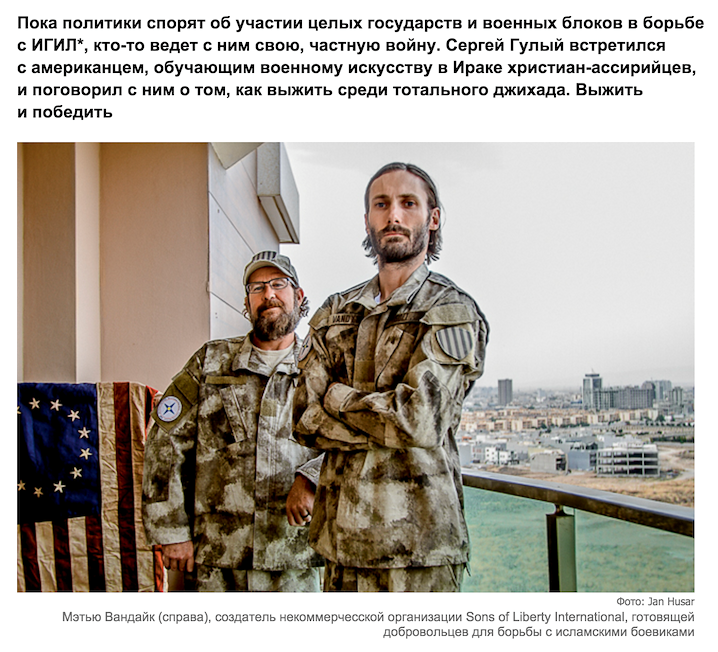 Sergei Guly met with American who is teaching the art of war in Iraq for Assyrian Christians, and talked to him about how to survive among a total of jihad. Survive and win.